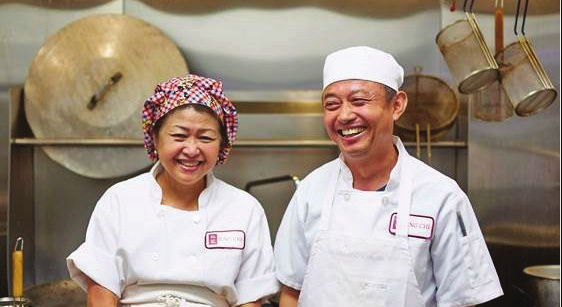 Twenty-six years ago the Teng family opened a restaurant serving the local Richardson, Texas community dishes from Taiwan and mainland China, specializing in delicious dough items like dumplings, homemade noodles and steamed buns. Just three years ago, the restaurant outgrew its 3,000 square-foot building and relocated to a much larger 8,300-square-foot location, which includes a bakery and a café. The busy restaurant is open every day, 10 am to 10 pm, all year long. For decades, things at Jeng Chi didn’t change. The owner and patriarch of the company, Mr. Yuan Teng, stood guard at the counter with an old-school electronic cash register (ECR) and an abacus by its side. “For decades, he ran that cash register, and sometimes used an abacus to calculate the bill,” said Janelle Teng, daughter-in-law and restaurant manager. “I playfully refer to it as a doughnut register, like the old ones you see in doughnut shops. It was basically a glorified calculator, but people loved paying him that way. I think it was fun for the customers.” But it wasn’t working for the business. Even though the restaurant was very busy, the wait staff hand-wrote orders, in duplicate, on small order forms, tore them apart and delivered them to each chef. The customers then got the top copy, which they took to the counter to Mr. Teng and his abacus.